On April 18, 1942, 16 B-25s launched from the carrier Hornet, under the command of Lt. Col. Jimmy Doolittle, flew 650 miles to Japan, dropped their bombs on Tokyo and other targets, and escaped to China and neutral Soviet territory. 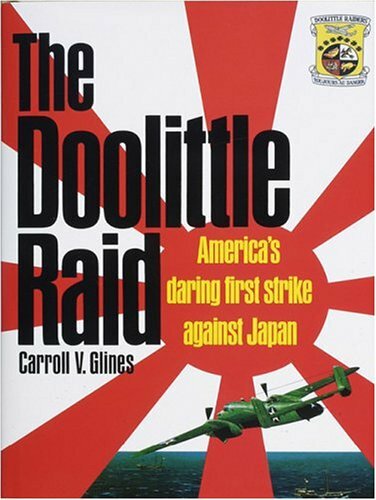 Although a very small affair in comparison with the B-29 strikes three years later, the Doolittle raid was a severe psychological blow to Japanese military leaders and had far-reaching strategic effects, providing an electrifying boost to American morale. Glines relates this exciting story in full: the bold conception of the mission, the selection of its leader, the difficult preparations, the hair-raising “thirty seconds over Tokyo,” and the ordeals of those crewmen who fell into Japanese hands in China. Glines also tells the almost unbelievable story of “the last Doolittle raider.” Lt. George Barr, convinced that his liberation was an elaborate Japanese trick, was shunted around the U.S. military-medical circuit and ended up in a mental ward. Doolittle himself, by then a general, traced him, rescued him from bureaucratic oblivion, and set him firmly on the road to recovery.